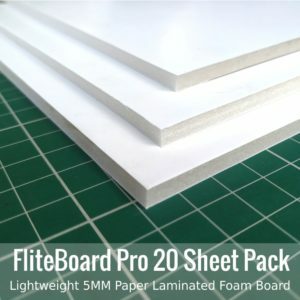 Light weight yet strong Paper Laminated Foamboards that are great for building Radio Controller RC Planes. Ideal for building Flite Test models. 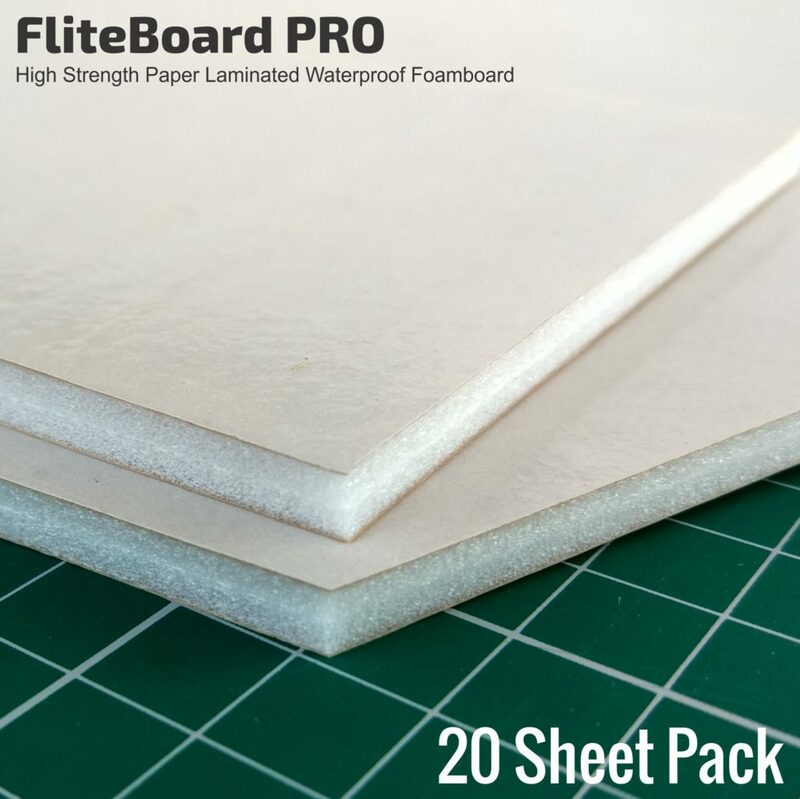 FliteBoard Pro is High strength, Water resistant, lightweight foam board, ideal for building FliteTest models. 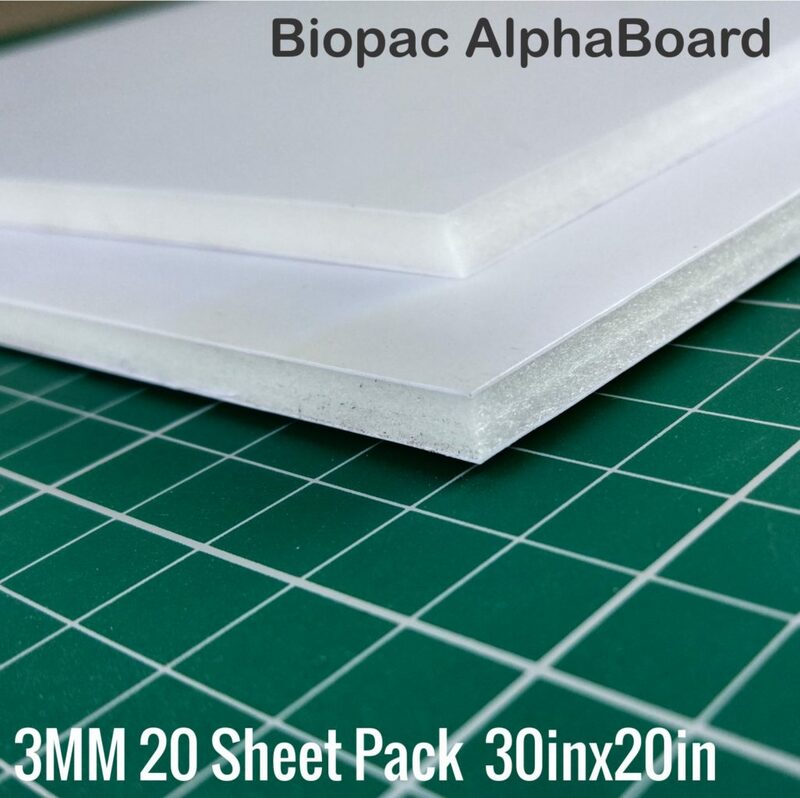 Super strong High quality 3MM paper laminated Foam boards ideal for building RC foam models. 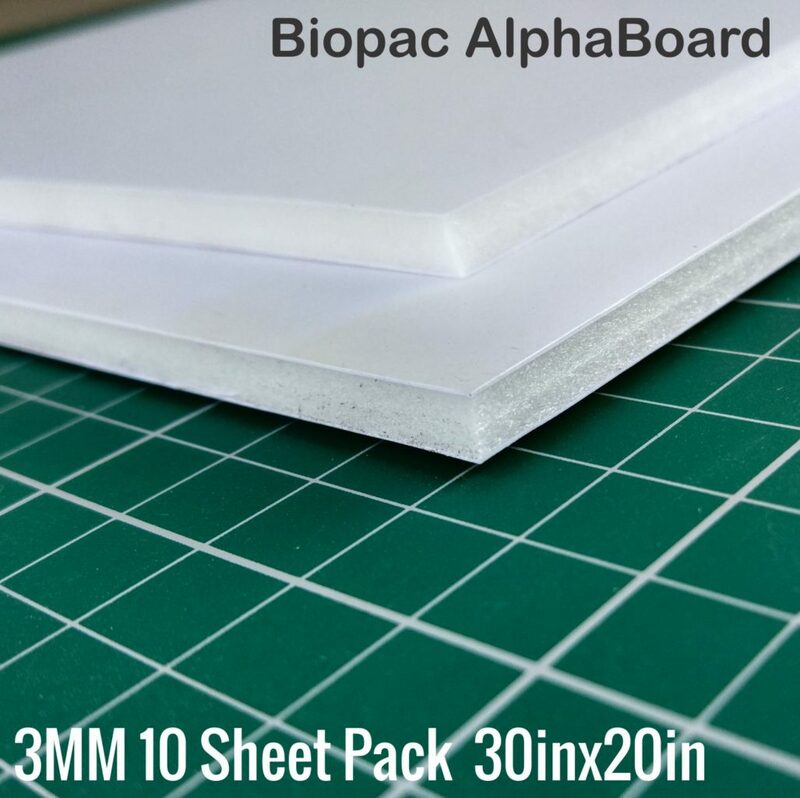 Built with polystyrene foam core and laminated on either side with ultra strong paper. Super strong High quality 5MM paper laminated Foam boards ideal for building RC foam models. Built with polystyrene foam core and laminated on either side with ultra strong paper. 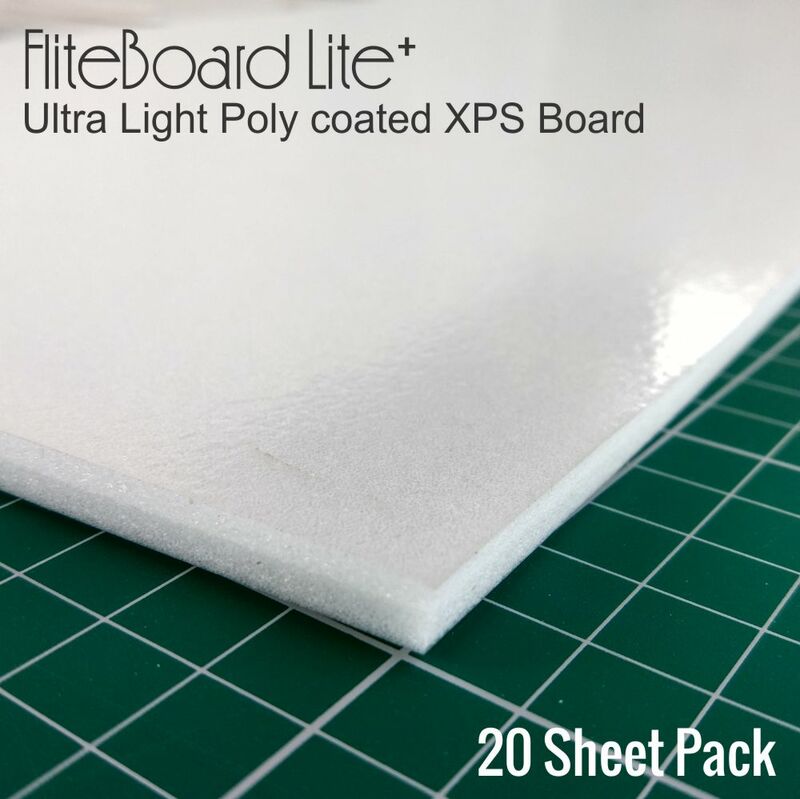 FliteBoard Lite is the lightest of our series. Suitable for small park fliers or trainers where having a lightweight material is of utmost importance.